Brilliantly positioned in the heart of Melbourne's waterfront precinct, you will adore coming home and relax in this light-filled two bedroom apartment that has much to offer. 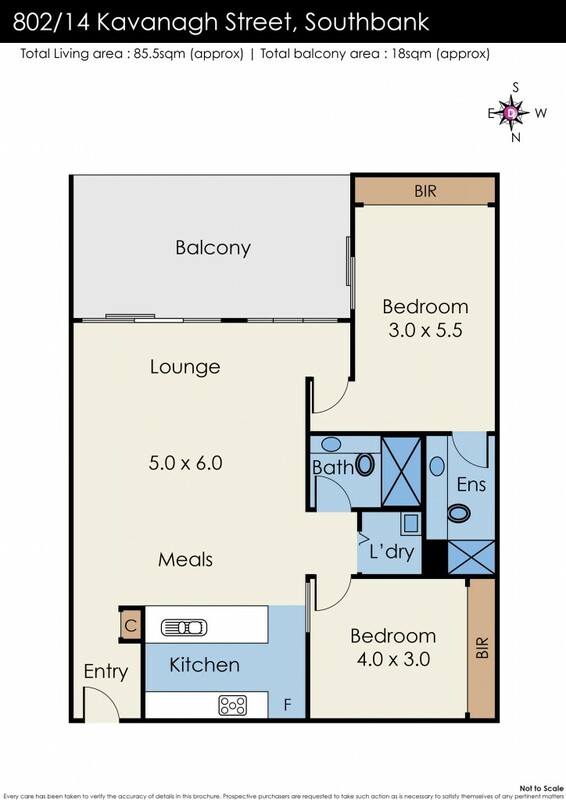 Located in Century Tower Apartments, this apartment boast a generous open-plan design, offering spacious living, meals and kitchen areas. Clever in its design and finishes - modernity and easy living are paramount, with a combination of hardwood timber, plush carpets and tiles flooring throughout. The gourmet kitchen also comes with stone bench tops, stainless steel SMEG appliances and wood joinery, maintaining the contemporary, clean design theme of the apartment with a focus on relaxed and easy entertaining. Both bedrooms feature built-in-robes with the luxurious balcony facing bedroom offering the added benefit of private ensuite. Large separate main bathroom and laundry room are easily accessible from either bedroom. The large balcony is perfect for year round alfresco meals and entertaining and is accessible from the living area as well as the master bedroom. Added features to this fabulous property include: secure garage with remote entry, ducted heating and cooling, shared access to onsite gymnasium facilities and sauna. With an excellent location offering easy access to all the best that Melbourne has to offer such as the Arts Precinct, Crown Casino, Royal Botanic Gardens, St. Kilda Road and the CBD - why wait? Currently rented at $2,607 per month until 29 Feb 2016. Call us now at 0425 182 023 to arrange for a private inspection.